Sedentary older adults who start exercising may not reduce their risk of becoming frail, but they may experience less disability, a new study suggests. 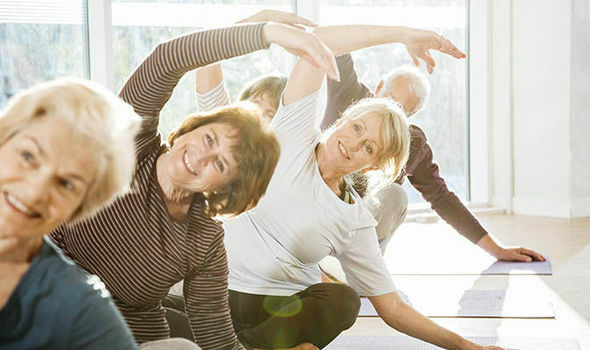 Researchers randomly assigned 1,635 adults ages 70 to 89 to participate either in a structured exercise program or in health education workshops. The exercisers did up to 150 minutes a week of walking and activities to improve strength, balance and flexibility. After two years, people who weren’t frail at the start of the study were no less likely to become frail with exercise than without it, the study found. But with exercise, they were less likely to lose their ability to rise from a chair, one component of frailty. “The benefits of physical activity in terms of preventing physical disability still persist in older adults who are already experiencing symptoms of frailty,” said senior study author Roger Fielding of Tufts University in Boston. At the start of the study, participants typically had some functional limitations, but they could walk 400 meters (0.25 miles) in 15 minutes or less without assistance. About 6 percent of the people in the exercise group and 5 percent in the health education group were already considered frail. People were considered frail if they could not rise from a chair 5 times without using the arms, had lost a significant amount of weight recently, and felt like they had no energy. Two years later, about 19 percent of the people in the exercise group and 21 percent in the health education group were frail. The difference between the groups was so small that it might have been due to chance. The inability to rise from a chair was the only frailty criterion that was influenced by the exercise program. The percentage of participants who couldn’t accomplish this task was about 3 percent to 6 percent lower in the exercise group than in the health education group. One limitation of the study is that researchers didn’t have data to show which individual components of the exercise program might have influenced frailty or disability. Still, the results suggest that most elderly people can benefit from exercise, said Dr Rebecca Brown, author of an accompanying editorial and a geriatrics researcher at the University of California, San Francisco, and the San Francisco Veterans Affairs Medical Center. “While there isn’t definitive evidence (yet) that exercise can prevent frailty, this study shows that exercise reduces the risk of disability, whether or not you are frail,” Brown said by email.